My friend Charlie calls Buffalo the world’s largest high school. And no, not that pre-pubescent time when everyone awkwardly tries to fit in with the cool crowd in the cafeteria. It’s really about how everybody somehow knows everybody in Buffalo. Whether directly or once or twice removed, you’re able to identify a common connection to someone in the 716. 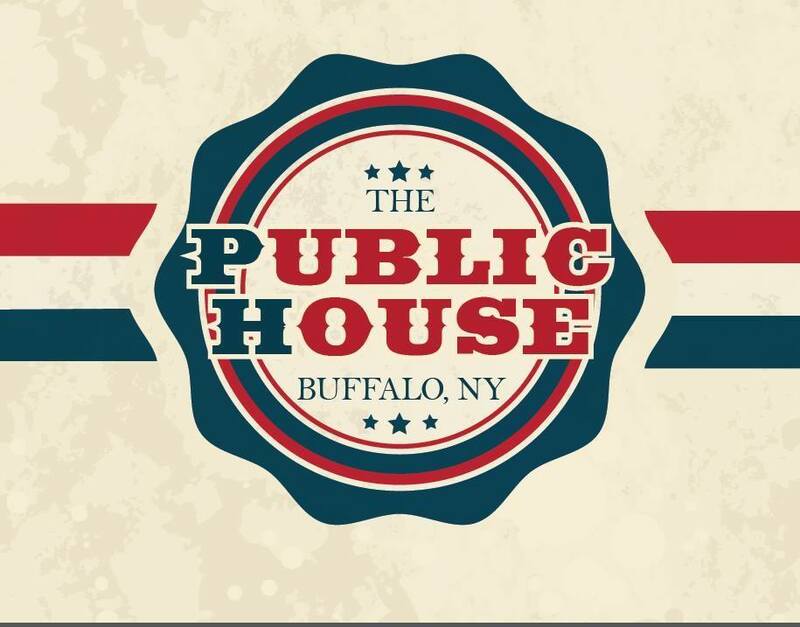 The Public House, Buffalo’s newest and truest “neighborhood bar” is a perfect example of where those connections come together. 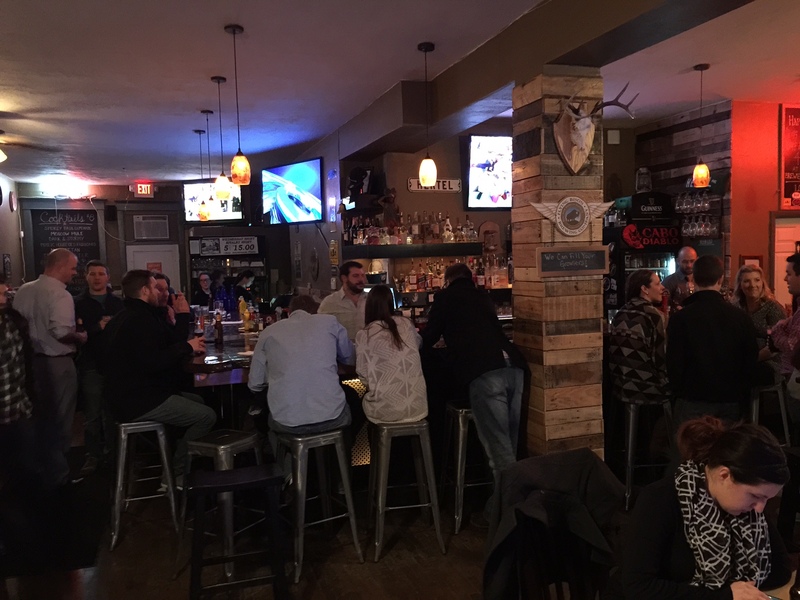 Given a different comparison, The Public House is the welcoming Buffalo version of Cheers. You know, “where everybody knows your name”. My personal connections to this place are many. I went to high school with co-owner Sara. Her husband and co-owner, Frank, who seemingly everyone in Buffalo knows, grew a following from his time at Papa Jakes. I know bartender Nick from his martini making days at Cecelia’s, who turns out also works with one of my best friends, Sam. And guest bartender Lou, I met him separately through the above mentioned Charlie. Those are just some of the fine faces you’ll typically see behind the rows of beer taps at the Public House. But then there’s the folks you’ll commonly see on the other side of that beautiful, reclaimed wharf wood bar. The last few times I was there I was able to catch up with great friends Sam and Ami, Katie and Matt, Jay, Kim, Molly, Phil, Allison, and many others. You just never know who you’ll run into. And that’s what’s great about the Public House. It just has that feel. And when you leave, you’re always glad you came! 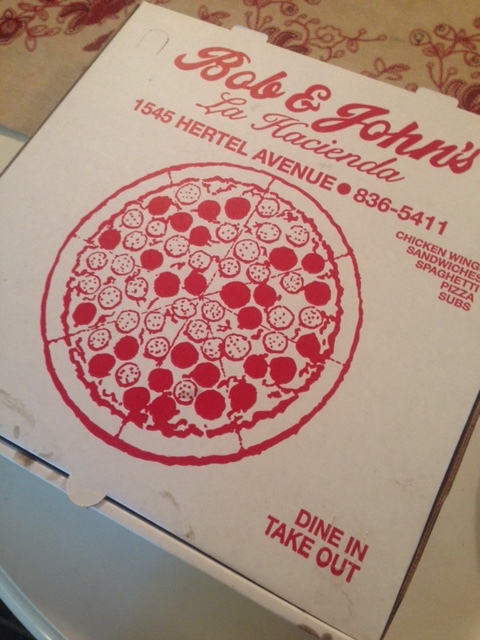 Confession: We have lived in our North Buffalo home for four years now and in that time, how many times have we ordered a pizza from somewhere on Hertel? ZERO. Despite both of us being Italian and devout lovers of the ‘za, we rarely seem to order it at home. Having grown up in the suburbs, Charlie and I were brought up on Bocce’s and Franco’s so when the need for pizza arises, we tend to head towards Kenmore Avenue and hit up one or the other. After hearing a friend talk about a Kenmore Pizza Crawl they just completed, I said to Charlie it was the perfect time to tackle something like this for Hertel. Let the weekly pizza purchases commence! If you live in North Buffalo, I’m sure you’re reading this thinking, “Oh man, she better think _________ is the best.” So as not to offend anyone’s pie preferences or local business owners for that matter, I’ll refrain from getting too specific. 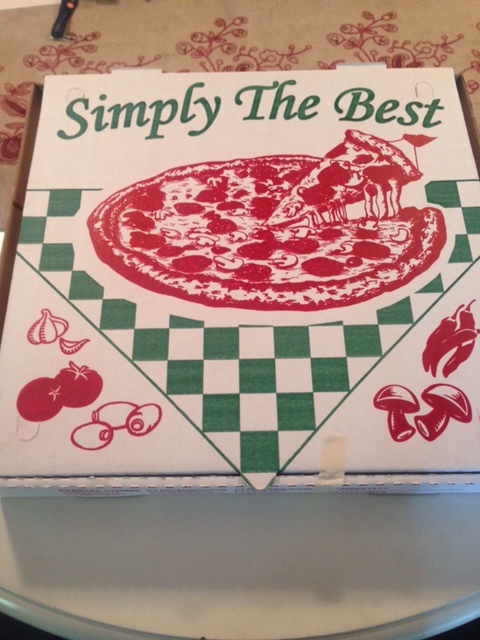 For me, based on my preference for spicy sauce, thicker crust and adequate cheese coverage (unlike most Buffalonians I don’t get giddy over a cheese blanket on my pizza), my favorite was Avenue. Charlie’s preference would be Bob & John’s. 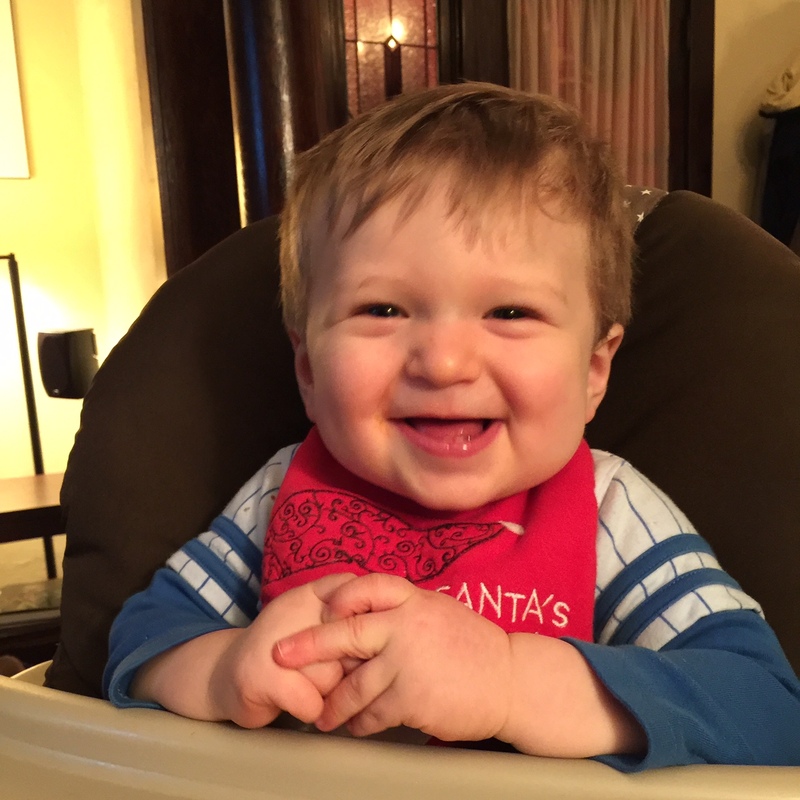 Without the ability to talk, our one year old gave two thumbs up to all of them. Are Avenue or Bob & John’s good enough to cause us to throw in the towel at Bocce’s and Franco’s? Guess you’ll just have to see where our car is parked come Superbowl Sunday.